Prominent & Leading Exporter from Surat, we offer lumber covers, geotextile fabric and pond covers. We are making strong and durable Lumber Covers. Covers are meant for sending a message that you are really cares for your product. A protective covering against vandalism and theft. A cheap mode of rain protective covers for materials and machinery. 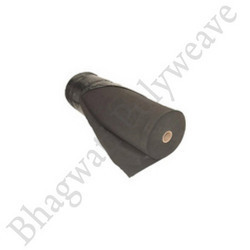 Lumber covers are also used for covering goods transportation, rail carriages etc. Various color options are available. We are offering a wide range of Geotextile Fabric that is manufactured using natural coir. Specially made polypropylene fabrics woven on circular looms and converted to flat fabrics are available with us. These fabric are permeable and is commonly used in soil to separate, filter, reinforce, protect or drain. Applicable for roads, air fields, embankments, retaining jobs, reservoirs, water canals, dams & for construction applications also. It can be conveniently used for soil protection and soil erosion. As a trust worthy entity of this domain, we are committed to offer our clients a superior quality assortment Pond Covers. 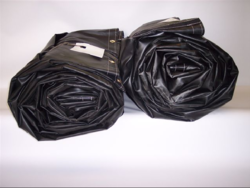 These covers are made available in various sizes and barrier capacities. From 300 x 50cm to 1000m to customer size, the offered covers are made available to the clients. In addition, clients can provide their custom requirements; our well-established unit is equipped with advanced technologies handle by deft professionals who in accordance to set industry norms while fabricating the customized covers.